Welcome to Arizona Skies Meteorites®. The Dire wolf (Canis dirus) "fearsome dog" was a very large and powerful predator that roamed North America in packs up until the end of the last ice age about 10,000 years ago. The Dire Wolf preyed upon the large mega fauna that populated North America until they too went extinct about 10,000 years ago. 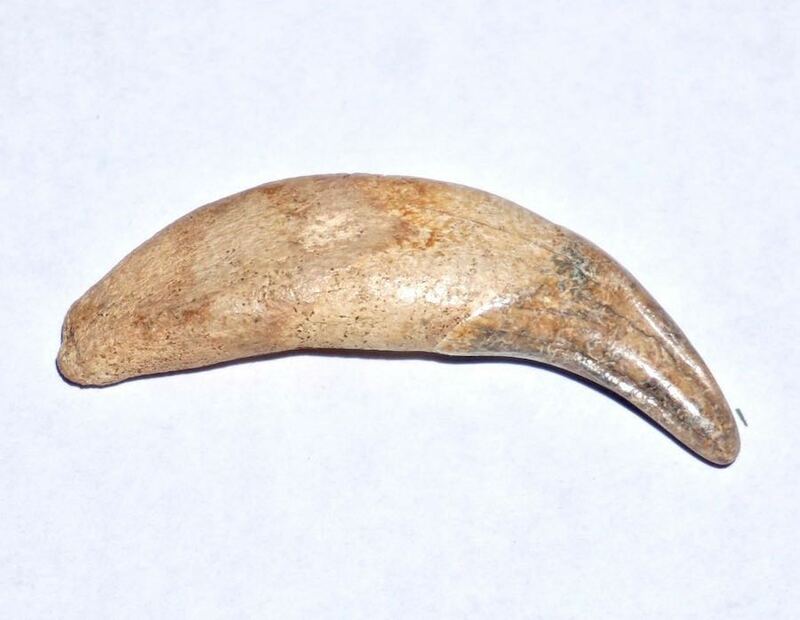 Dire wolf fossils are amongst the most sought after by collectors and rarely does one find an unrestored dire wolf canine in as pristine condition as the one offered below. Dire Wolf Image Courtsey Sergiodlarosa.The Dire Wolf image is from wikipedia.org and are licensed under the Creative Commons Attribution ShareAlike 3.0 License. In short: you are free to share and make derivative works of the file under the conditions that you appropriately attribute it, and that you distribute it only under a license identical to this one. Official license.